First of all, what is acupuncture, exactly? Acupuncture is a procedure rooted in ancient Chinese medicine. It involves inserting sterilized stainless-steel needles, which are as fine as a human hair, into specific points in the body. Acupuncture is particularly valuable for improving pain. In addition, it can help with a variety of conditions, including headaches, nausea, anxiety, depression, respiratory disorders, the common cold, insomnia, women’s health concerns, and much more. The short answer is no. Sensation will depend on the individual patient. Many patients report feeling a tapping sensation or no needle at all. Here at WellStream Acupuncture, we use a Japanese style painless technique. With us, its common to feel warmth, pressure, energy traveling, or possibly a deep ache, that typically feels like a sore muscle. The number of treatments needed varies according to your condition and how long you have had it. A recent issue many require only one treatment, whereas a chronic issue may require several. In the United States, anyone who wants to become an acupuncturist must participate in an accredited master’s program that runs for three years or longer. Some states require that acupuncturists also be licensed physicians. Have additional questions about acupuncture? Ready to book a treatment? 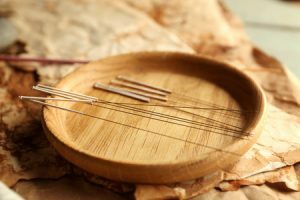 At WellStream Acupuncture, we’re here to answer all your questions and tell you more about the amazing benefits you can receive through acupuncture treatment. Contact us today to find out more!